SYDNEY, AUSTRALIA -- (Marketwired) -- 11/26/13 -- At Kathleen McFarlane's Sydney naturopathy practice, she uses herbal and nutritional medicine in combination with lifestyle modifications to assist patients with a wide variety of conditions, including IBS (irritable bowel syndrome), stress, anxiety, and excess weight. A significant number of Ms. McFarlane's patients seek out her help with issues regarding reproductive health and fertility. For these patients, Ms. McFarlane investigates many factors that may be inhibiting conception while conditioning each partner's body to be in its ideal state for pregnancy. Ms. McFarlane then goes on to describe the techniques she uses to evaluate her fertility patients in her second blog post titled "Naturopathic Techniques To Evaluate Fertility." According to Ms. McFarlane, she evaluates not only the hormonal health of her patients but also the woman's overall basic health. There are certain lifestyle factors that may be affecting a woman's fertility without her knowledge. For example, Ms. McFarlane says, "I note how much stress each patient is experiencing on a regular basis, because there is a big correlation between raised stress hormones and lowered fertility hormones." In the final blog post of her fertility series, entitled "How Can A Woman Improve Her Chances For Successful Conception? ", Ms. McFarlane provides a number of examples of external environmental factors that may impact the fertility of her patients. Such environmental factors include radiation from sources including mobile phones, microwave ovens, and frequent flying. Another surprising environmental factor that Ms. McFarlane says can cause fertility complications is excessive exposure to plastics. Ms. McFarlane highlights that "Plastics have a very similar chemical structure as estrogen (part of a group of chemical structures known as xenoestrogens) and can disrupt a woman's natural estrogen levels." Sydney naturopath Kathleen McFarlane believes her main role in assisting women with fertility issues is to help make her patients aware of lifestyle and environmental factors that could possibly inhibit their likelihood of becoming pregnant. In addition to investigating hormone levels for irregularities, she looks at the health of the entire woman -- both body and mind -- to ensure that each woman reaches the ideal state for conception. Kathleen McFarlane has studied herbal and nutritional medicine for over ten years and believes real health is achieved when all aspects of her patients' lives are in balance. 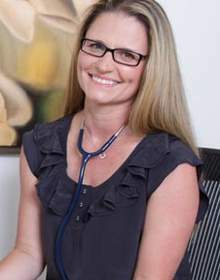 Using functional pathology testing alongside holistic techniques, she combines conventional and complementary medical models to investigate her patients' overall health and identify the root cause of any disease. Kathleen McFarlane is available for interview upon request.